A place familiar to many seen from a different vantage point. The warehouses of the long closed Port Ellen distillery next to the Port Ellen maltings on Islay. The White Hart beach just below us with the A846 leading out north towards Bowmore. 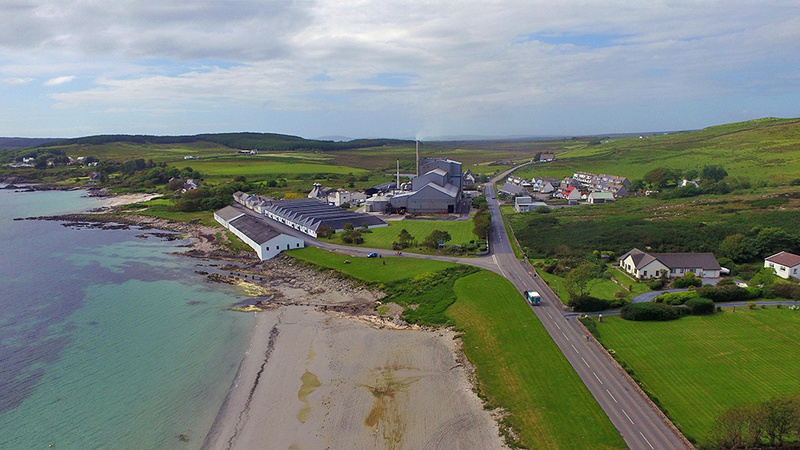 This entry was posted in Beaches, Cloudy Weather, Distilleries, Islay from the air, Landscape, New Post, Sunny Weather, Village and tagged Islay, Port Ellen, Port Ellen Distillery, Port Ellen Maltings by Armin Grewe. Bookmark the permalink. brill photo,, can you do one off port askaig ??? ?